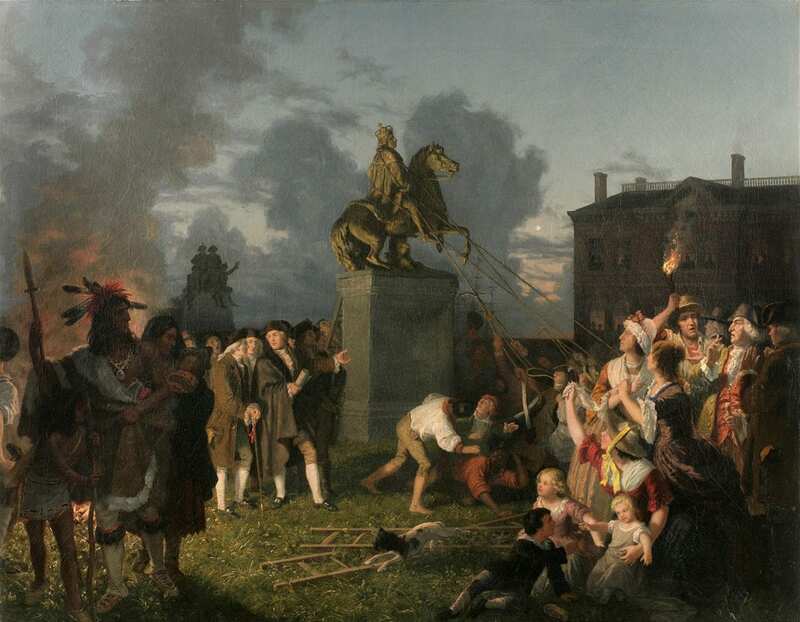 A painting of revolutionaries toppling a statue of King George III; President Franklin Roosevelt’s leg brace; a drum-shaped lottery barrel used to pull draft numbers during the Civil War — all are examples of artifacts used in a unique civics class taught at the New York Historical Society. The Citizenship Project, now in its ninth month, teaches immigrants the American history they need to know to pass the country’s citizenship test. Participants say the the vivid images, sculptures and stories make the information much more meaningful than simply memorizing pamphlets of facts. Here & Now‘s Robin Young (@hereandnowrobin) visits the museum to find out more.